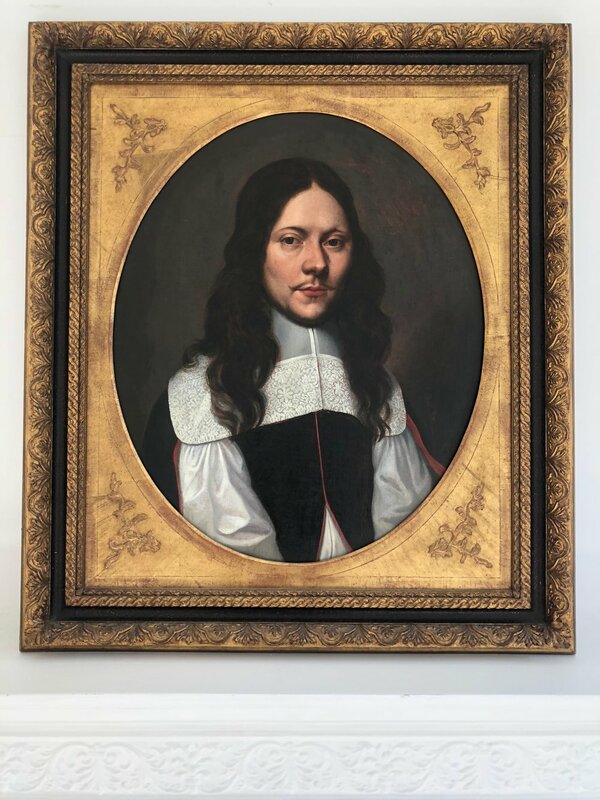 Portrait of a gentleman, 17th century oil on canvas, later mounted in an antique style carved and giltwood frame. 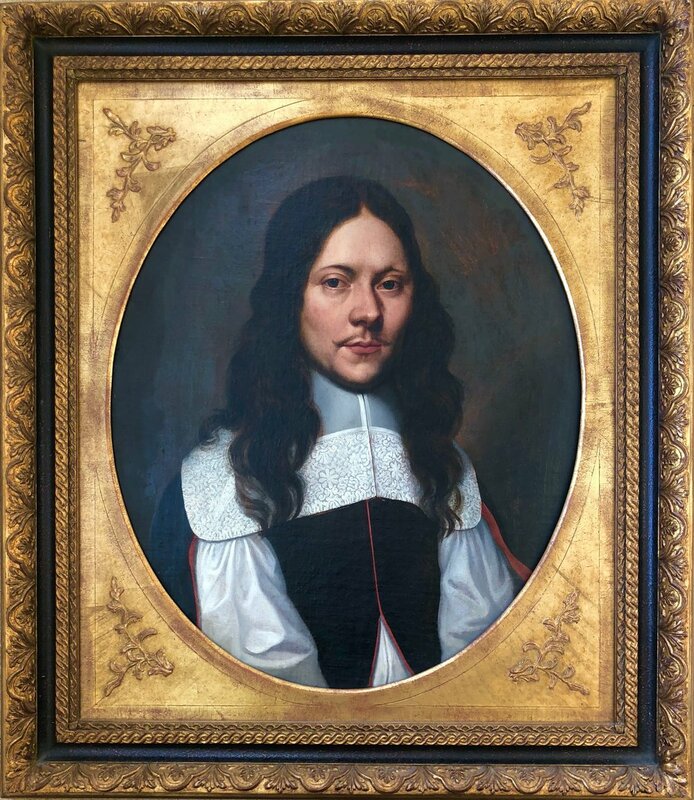 PORTRAIT OF A GENTLEMAN - CIRCLE OF PHILIPPE DE CHAMPAIGNE. Champaigne was a Flemish-born Baroque painter and teacher of the French school who is noted for his restrained and penetrating portraits. He initially trained in Brussels then arrived in Paris in 1621. By 1625 he was working for the classical Baroque painter Nicolas Poussin on the decoration of the Luxembourg Palace. It was under the patronage of the queen mother Marie de Médicis that Champaigne’s career progressed rapidly, and in 1628 he succeeded Duchesne in the position of court painter. He also enjoyed thrived under the patronage of cardinal de Richelieu, Jules Cardinal Mazarin, and King Louis XIII, for whom he produced a number of religious paintings and portraits. He decorated a gallery in the Palais Royal for Richelieu and executed his most masterful portrait of the powerful French figure showing the subject standing (officers of the church were usually portrayed sitting) in his cardinal’s robes. It reflected his dual position as prelate of the church and, in all but name, monarch of the realm. Over his lifetime Champaigne produced many works for the various palaces and churches of Paris. In 1643 he became involved with Jansenism, an ascetic sect, and he rejected many Baroque conventions and his paintings became simplified and more austere. His portraits, which often portray the sitter dressed in black, demonstrate his sensitivity toward and understanding of the subjects as seen here. In 1648 Champaigne became a founding member of the Royal Academy of Painting and Sculpture and went on to become a professor (1653) and, later, the rector of the Royal Academy. He continued, however, to receive important commissions, painted prolifically, and enjoyed a celebrated reputation. Canvas : 29" x 24" / 74cm x 61cm. Frame: 37" x 31" / 92cm x 78cm.